Tate and the Department of English and Related Literature, University of York, invite applications from eligible candidates for a full-time Collaborative Doctoral Partnership PhD studentship, funded for 48 months by the Arts and Humanities Research Council, to commence 1 October 2019. 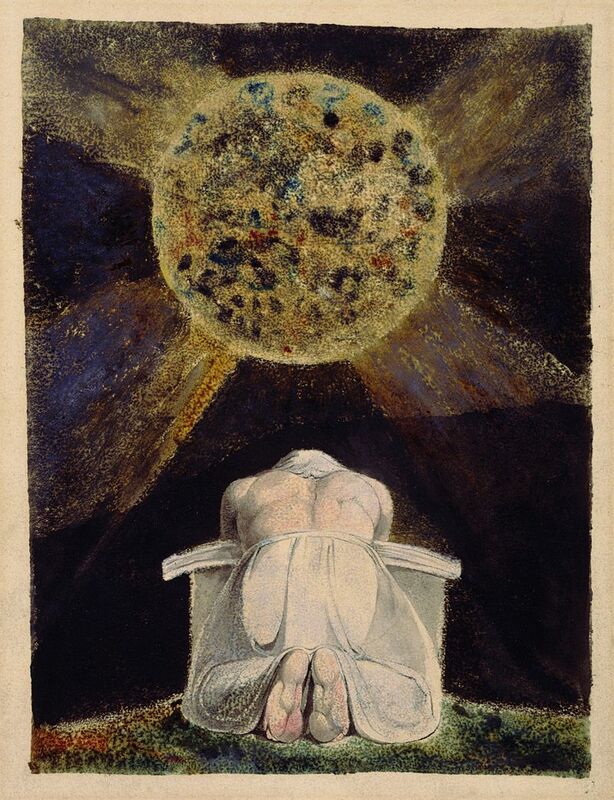 The visionary poet, artist and printmaker William Blake (1757-1827) is the exemplary imaginative artist. For successive waves of creative and imaginative people, from the artistic fraternity known as ‘The Ancients’ that gathered around him at the end of his life, through to very many creative artists working in different media, he has served as a model of the self-sustaining, free-wheeling, authentic creator. But in the present age of austerity, questions of unpaid labour, precarity and justice have been brought to the fore, and existing mythologies of creative independence are being questioned in fresh ways. The thesis would consider the succession of different networks Blake was part of during his life, and the shifting identities that he assumed in those contexts, as apprentice, art student, employee and protégé, as “The Interpreter” for the Ancients, and as a prophetic figure for modern commentators. This project will offer the chance to scrutinise Blake’s work and imagination, by considering the friendships, dependencies, influences and associations which sustained him. It will involve re-examining an icon of Romantic creative isolation in terms resonant with present day creative cultures – in terms, that is, of co-production, collaboration and networks. Potential applicants must have a master’s degree with Distinction, with at least 70% achieved or predicted for the dissertation. Applicants may come from a variety of disciplinary backgrounds (e.g. English literature, history of art, sociology of culture, political theory, museum studies, media and communication studies, cultural studies, conservation), but it is expected that the successful candidate will be able to clearly explain the relationship between their existing training and the topic of the studentship, and to indicate how their present research interests relate to the proposed topic area. Applicants who have experience of working in the field would be particularly welcome. The project can be undertaken on a full-time or part-time basis.